Suffocated by a difficult life with chronic pain? Tired of feeling like getting out of bed in the morning is as hard as running a marathon? It’s time for that stage of life to be over. You can take control of the life that chronic illness has tried to steal from you. 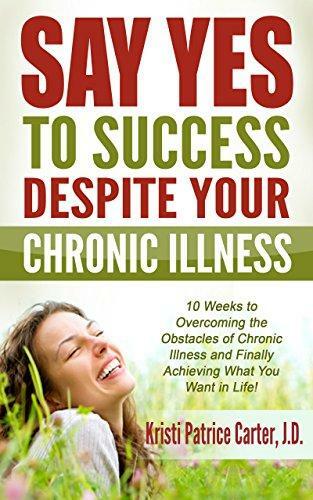 Using this 10-week plan written by Kristi Patrice Carter—a sufferer of fibromyalgia and chronic fatigue syndrome, who herself has used these very tools to enjoy life again—you will find yourself inspired, motivated, and drinking from the deep well of life once more. As a friend who has been there, Kristi will help you discover the life you’re meant to live, regardless of the obstacles and illnesses in your way. There’s no need to wait for tomorrow. You can absolutely live the life you’ve always wanted. Starting right here. Right now.